To witness a performance by Blind Boys of Alabama is to witness history in the making—with a career spanning more than seven decades, countless accolades and a remarkable output of recorded music, Blind Boys has become synonymous with the genre of gospel itself. That’s why the upcoming Levitt National Tour, co-headlined by them and Southern rock luminary, Paul Thorn, is sure to be one of the most unique musical experiences Levitt audiences around the country will be treated to. Today, we’re recounting some of the most inspiring stories from Blind Boys’ time-honored lives as musicians! While Blind Boys of Alabama has always stayed true to the deep-rooted traditions of gospel, they have spent a majority of their career alongside icons like Ray Charles and Sam Cooke crossing over into pop music. Nonetheless, the magnetic style of their music has always been unique. They are known as one of the pioneers of gospel’s “jubilee” style of singing, a more upbeat and rhythmic version of the genre. By incorporating features of blues and rock-n-roll, Blind Boys has created an enduring breed of gospel, suiting covers of artists like Mick Jagger and Tom Waits, as well as performances alongside Lou Reed, Stevie Wonder and Prince. Their 2013 album, I’ll Find a Way, was produced by Justin Vernon, chief songwriter and mastermind behind Bon Iver, and featured excursions into folk, chamber pop and blues. ‘Way Down in the Hole’ is perhaps their most well-known song to younger generations, after it became the instantly recognizable theme song for HBO’s hit show, The Wire. Blind Boys of Alabama has been recognized numerous times by the music industry and received several awards for their historic contributions to gospel music. They’ve won six GRAMMY awards—five for Best Traditional Soul Gospel Album and one as a Lifetime Achievement Award. The Gospel Music Association has awarded them four times for best album, while the National Endowment for the Arts (NEA) bestowed them with a National Heritage Fellowship in 1994. In 2010, former President Barack Obama invited them to In Performance at the White House: A Celebration of Music from the Civil Rights Movement, where they shared the stage with Bob Dylan, Smokey Robinson and Joan Baez, among others. 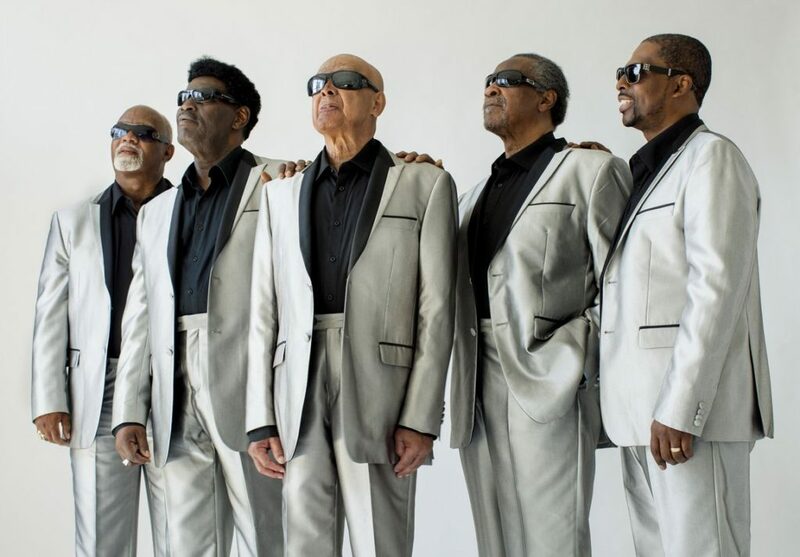 With no intent of retiring anytime soon, it’s clear that the Blind Boys continue to be a tremendous presence—not just in gospel, but across music at large. As the group gets ready to make their way across seven Levitt venues this summer alongside Paul Thorn, the magnitude of these performances will be a force to reckon with. The Levitt Foundation is honored to provide a platform for these talented and distinguished legends in 2018! This entry was posted in Levitt Artists, Levitt National Tour and tagged Blind Boys of Alabama, Gospel, Levitt National Tour, Paul Thorn on January 26, 2018 by Rounak Maiti.